Have you gotten into the Christmas spirit yet? I have yet to start decorating my house, which always makes it feel real to me. There is something so magical about this time of year, especially when the weather is cold and snowy and you can curl up on your couch with a soft blanket and a nice cup of Chocolate Chai Tea. This holiday season , we will be featuring our favorite festive recipes from bloggers around the world. 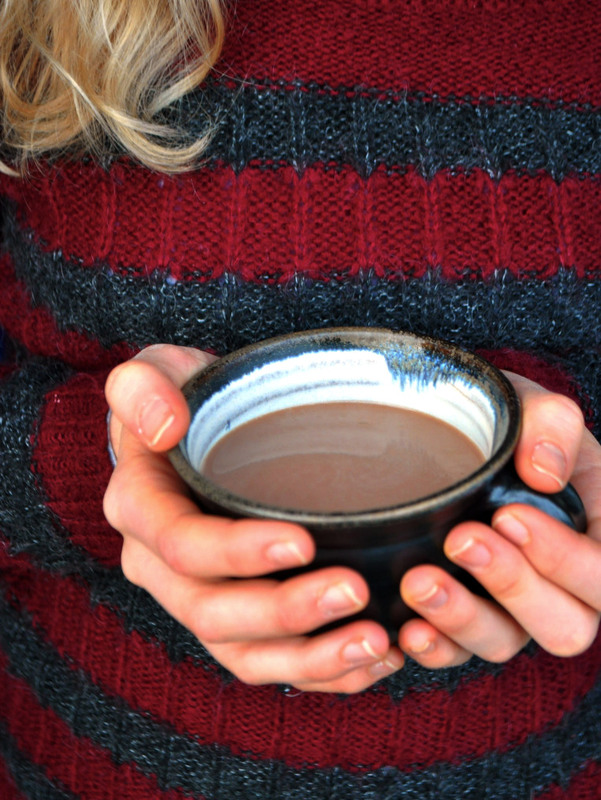 Today’s feature for a beautiful warming and creamy Chocolate Chai Tea belongs to Maike from Germany. She is a healthy food blogger with a passion for plant-based whole foods and recipes that are nutritious and quite delicious! Make sure to check out her blog Elderflower Kitchen for creative plan based recipes. 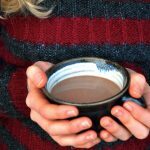 This warming mug of chocolate chai tea is the best of both worlds – spicy chai tea with its characteristic christmas-y like flavours meets dark and rich hot chocolate for the perfect little treat. Let the chai tea steep in a mug with 2 cups of water for about 10 minutes – it should be really strong so you might want to use 2 bags. 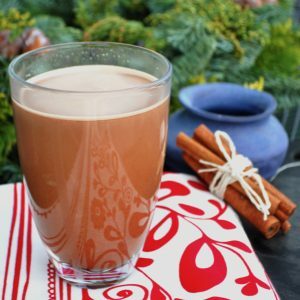 Pour the chai tea, the plant-milk and the coconut milk in a pot and gently whisk in the cacao powder. Add maple syrup to taste – start with 1 TBSP and see if it’s sweet enough for you (this will depend greatly on the kind of plant-milk you’re using, some have a natural higher sugar content than others and maybe you’re also using an already sweetened variety). Gently heat it up until it’s warm but no too hot. This will preserve the raw cacao’s nutrients. Pour in a big mug and let the smells and taste of Christmas mingle with chocolate!